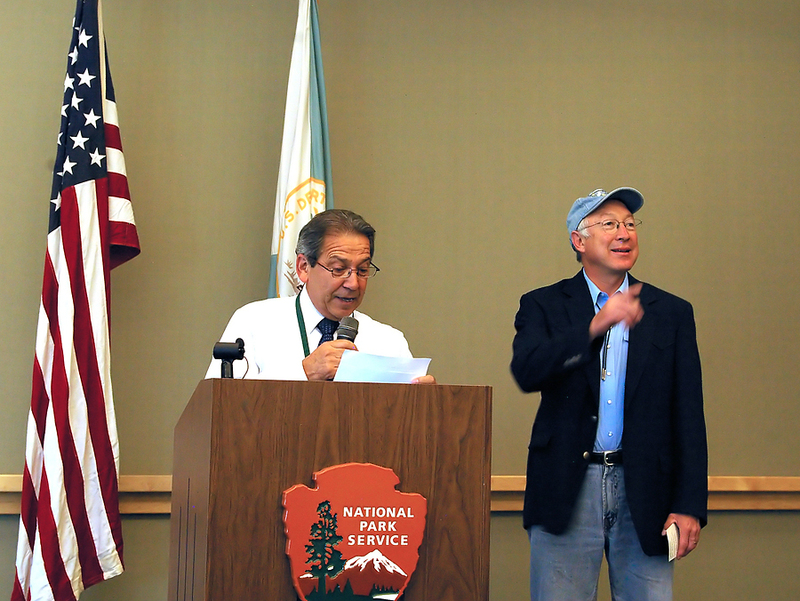 On Monday, I had the opportunity to meet the US Secretary of the Interior, Ken Salazar. 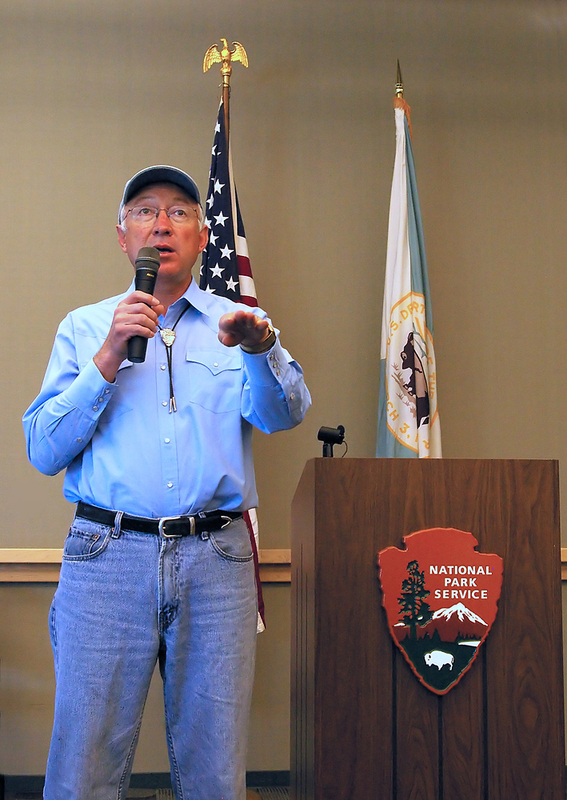 He was in western Nebraska for a meeting with state and local officials, as well as Ag Secretary Vilsack, and afterwards he stopped in Omaha to meet with any Interior employees who could make it up to the National Park Service's regional headquarters. I sat up front, got a few good photos, and got to shake the man's hand. Shooting was using ambient light, so I kicked the ISO up to 1600. Ran the images thru Neat Image to get rid of hte noise, then a bit of tweaking the white balance, and resharpening/cropping/etc in PS Elements 6. Results were acceptable to me, all in all. Nice, crisp photos. Did they not allow flash in there or did you just not want to be a distraction firing it off? Thanks. I didn't want to be a distraction. The NPS had one of their staffers doing the official photography thing, and she used flash (and substantially better glass than I can afford...), but I avoided it. Besides, all I have is the on-camera flash and I would rather use ambient. Good results. I need to experiment more in trying to get usable images without the proper amount of light. Anyway, it was a cool event and I got to meet a lot of fellow DOI folks I'd never meet otherwise. I wondered what was wrong with the images and then read your blurb about Neat Image. I recommend toning it down to get some noise and detail back. What do you see wrong? The white shirt is kinda blown out in parts, but that wouldn't be from the noise. Skin texture perhaps? It seems OK to me, but I'm not expert at processing portraits by any stretch of the imagination. What do you see wrong? The white shirt is kinda blown out in parts, but that wouldn't be from the noise. Skin texture perhaps? Yes. It seems very plastic. Same with wood etc. Mostly in the first image. OK. I'll play with it and see what I get.